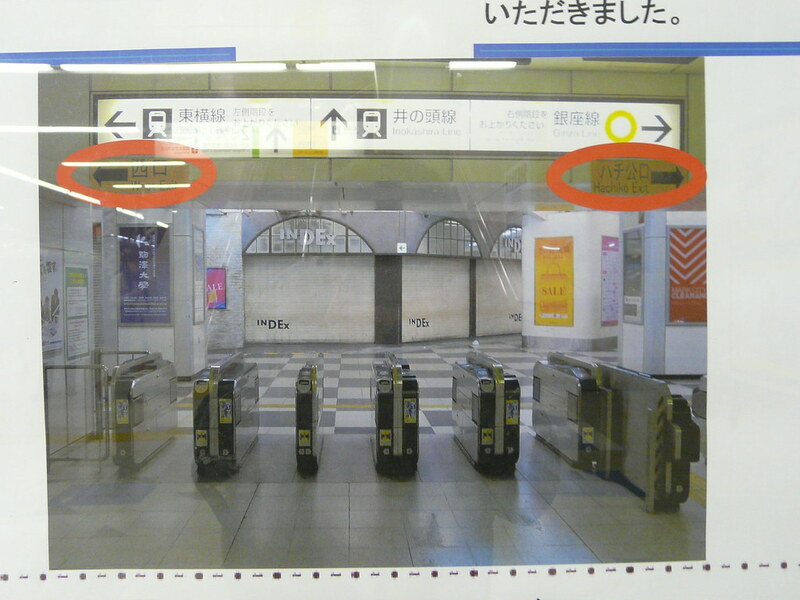 This sign in Shibuya station illustrates how station employees have ‘fixed’ ticket gate signage at the request of users. 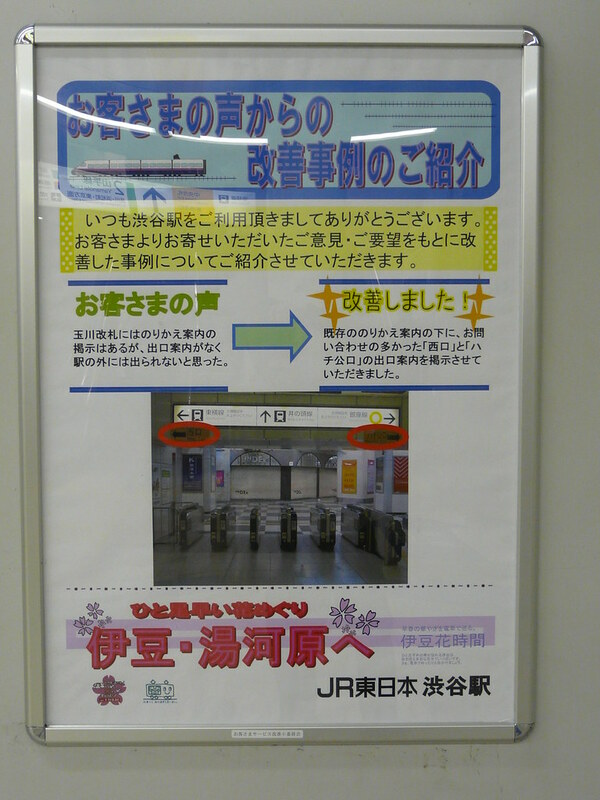 In this case, existing signage left passengers unclear as to whether the station could be exited from the ticket gate. 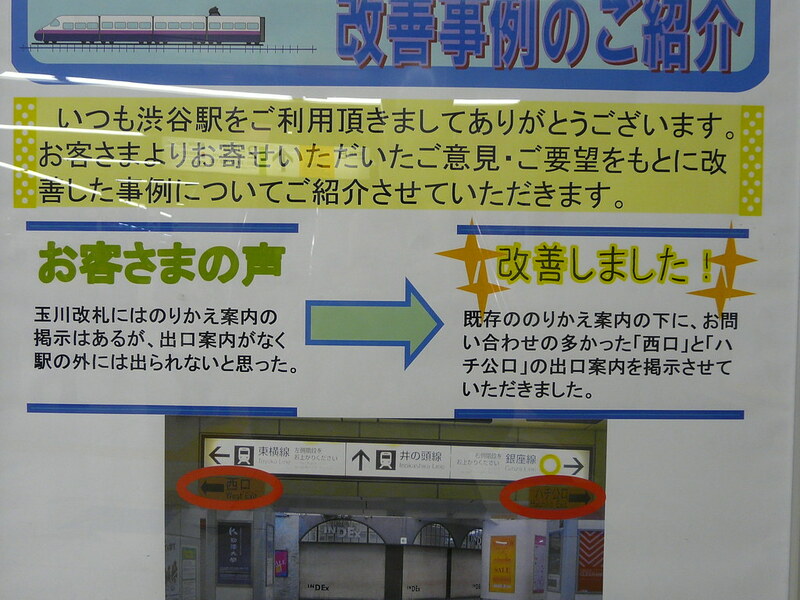 This was fixed by installing two signs pointing to well known exits/meeting spots.